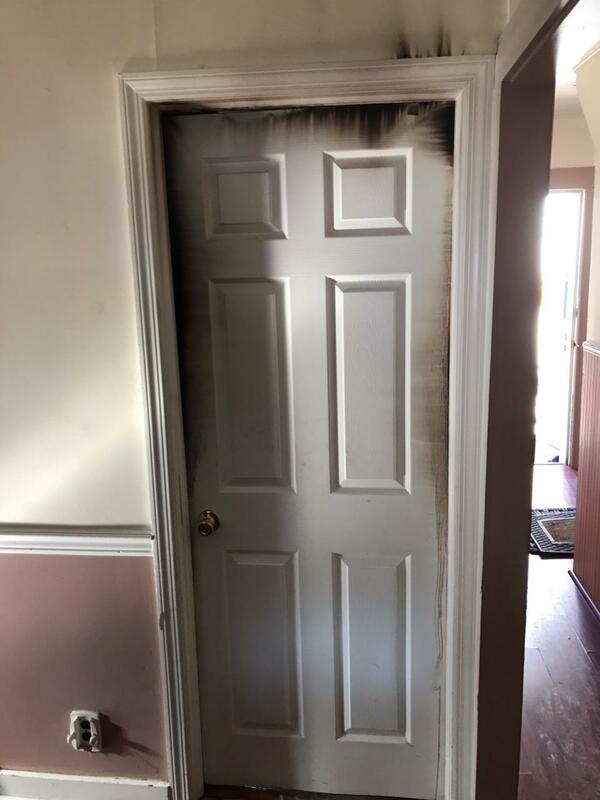 4/6 at 3pm, the Hawthorne Fire Department was dispatched to a possible house fire at 47 Outlook Ave. On arrival, 5-0 confirmed a working fire in the B-C corner of the first floor of the home. Engine 3 arrived on scene and streched hose to the rear of the building as Tower 2, Engine 4, Engine 1 and Rescue 5 arrived. Due to the bedroom’s door being closed, the fire was contained to one room of the home. The fire was quickly extinguish by first arriving units. No reports of injury and all members returned safely. The Hawthorne Fire Department wants to remind you that closed doors during a fire save lives and property. Chief Speranza; This afternoon a larger incident was averted. A room and content fire was held to the room by not only the quick dispatch and response. knockdown of the fire was rapid and our members did an excellent job. But more importantly the department acknowledges the outstanding efforts of Sgt Veenema, officers Flynn and Daily for rescuing a helpless trapped dog from this fire. If it was not for thier quick actions in removing the dog fate would have had tragedy. We thank them! We also wish to thank neighbor’s for caring enough and reacting in calling the FD.